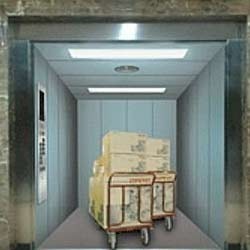 Manufacturer and Wholesaler of Goods and Passenger Lifts. Our product range also comprises of Standard Passenger Elevators, Single Phase Home Elevators and Hydraulic Lifts. 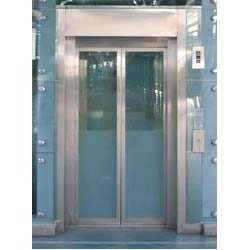 Our firm has gained immense recognition in providing a quality assured array of Passenger Lifts. The offered lifts are used at hotels, shops, malls, apartment, hospitals, etc. for carrying goods and people to desired levels. The provided lifts are manufactured with precision in adherence with predefined industry standards using the superior grade components. Moreover, these lifts can be availed by the clients at marginal rate. With highly driven ethnically excellence, our organization is actively committed to offer a wide assortment of Goods Lifts. Under the supervision of our adept professionals, the offered lifts are manufactured using best quality components and sophisticated technology in sync with set quality norms. The provided lifts are stringently tested on various measures of quality by our quality auditors to ensure their flawlessness. Besides, these lifts are used for diverse applications involving transportation of goods. We are a top entity in the business market actively immersed in providing high quality Passenger Lifts. The offered lifts find their application in different residential and commercial buildings. Under the strict supervision of our adept professionals, the provided lifts are manufactured using contemporary technology and quality approved components in tune with the set market standards. Additionally, these lifts are also checked on diverse quality norms by our quality analysts to ensure their sturdiness. Looking for Goods and Passenger Lifts ?